Kitchen glass splashbacks are made from a coloured glass that will hold up against the everyday wear and tear that the walls are likely to be exposed to. In addition the coloured glass offers the ability to easily clean up after any messy job in the kitchen. Glass for bathrooms offers the same type of coloured glass panels that will be able to maintain their beauty for many years. Our commercial spray booth gives us the ability so spay any colour or design (as supplied) onto your splashback. When you are considering remodelling or are building a new room, you will find that there are many choices for coloured kitchen glass splashbacks or coloured glass for bathrooms. These coloured kitchen glass splashbacks and the coloured glass for bathrooms walls are available in a variety of colours and sizes that will fit into any decorating scheme. 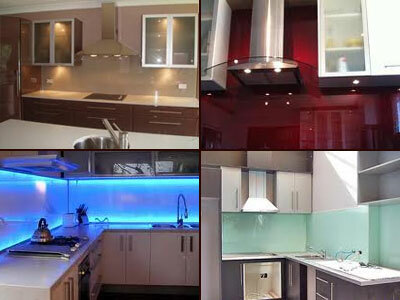 We use Dulux for our coloured splashbacks.